Nail art lovers can get a little (JK, a lot) extra at times, and so can new moms/moms-to-be. 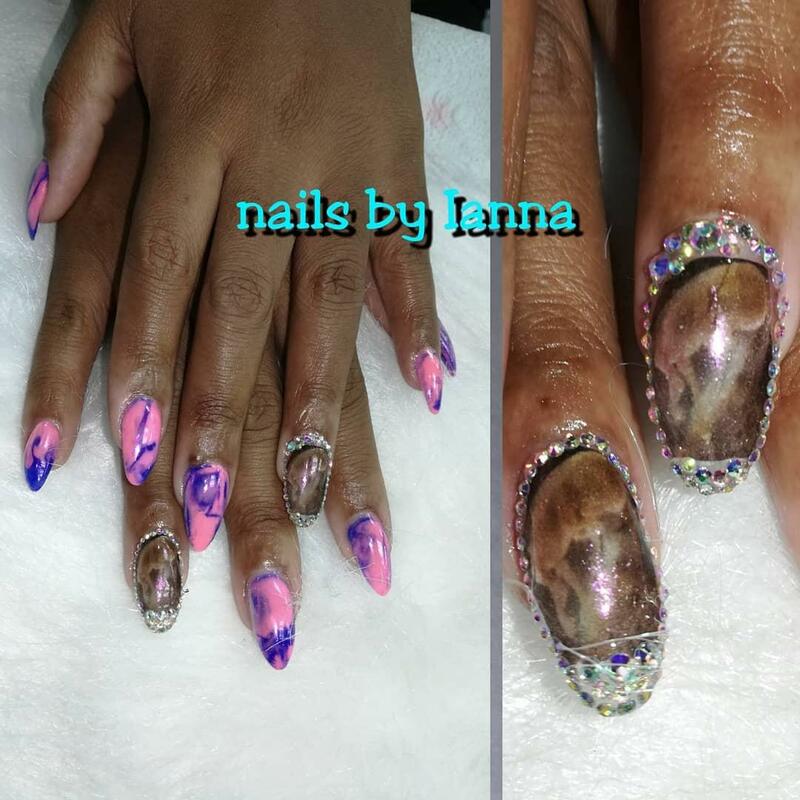 So it was only a matter of time before their powers combined to create the latest nail art trend: sonogram accent nails. 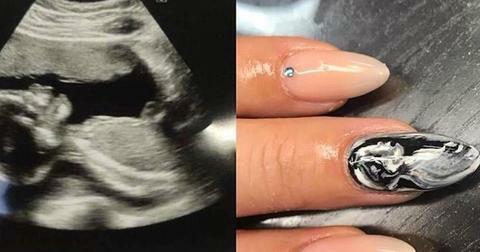 While I'm still rolling my eyes over the idea of gender reveal nails — or really any gender reveal for that matter — I have to say I'm feeling the trippy, swirly black-and-white effect of these tiny ultrasound pics. 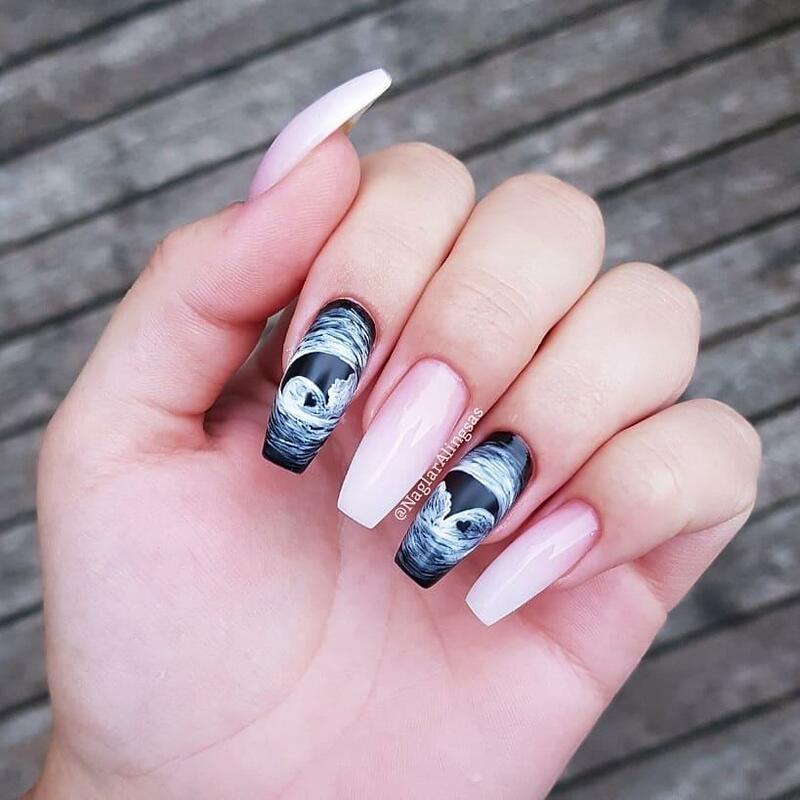 Like many intricate nail designs, the effect is achieved usually through laser-printed decals that the artist transfers onto a nail that has been painted white. 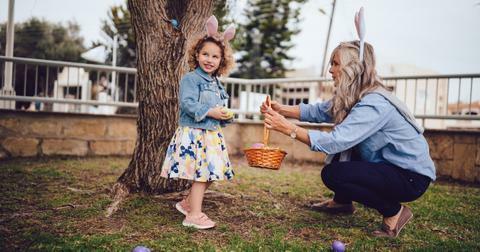 It's a fun and subtle-ish way to drop the news that you've got a bun in the oven, and a lot of women are into the idea. "Ima be this extra when I get pregnant #ImSeriousTho #JustWait," posted one user on Instagram. Others balked at the idea of decorating their digits with fetuses, though, with some saying simply, "eww" and one commenter claiming "I may hate this more than gender reveal parties." Well, I am decidedly Team Wear Your Fetus on Your Hand — only maybe stick to the black and white sonogram rather than opting for hyperrealism. No shade to the talented artist who created the nails below, but we're sort of getting uncomfortable eighth grade health class flashbacks from the manicure below. 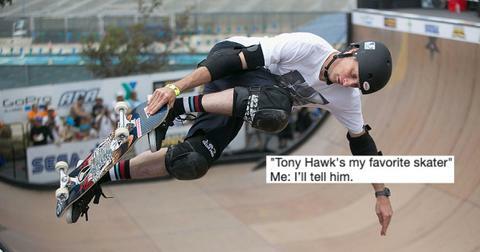 But look, it's your pregnancy. Growing a whole human being inside you is a big deal, so if you want to go hard with that mani, do you, mama. Plus, there are so many pleasures in life that doctors recommend pregnant women avoid while they're gestating — everything from sushi to brie. But manicures seem to be totally OK, so why not get the works, like the woman below? 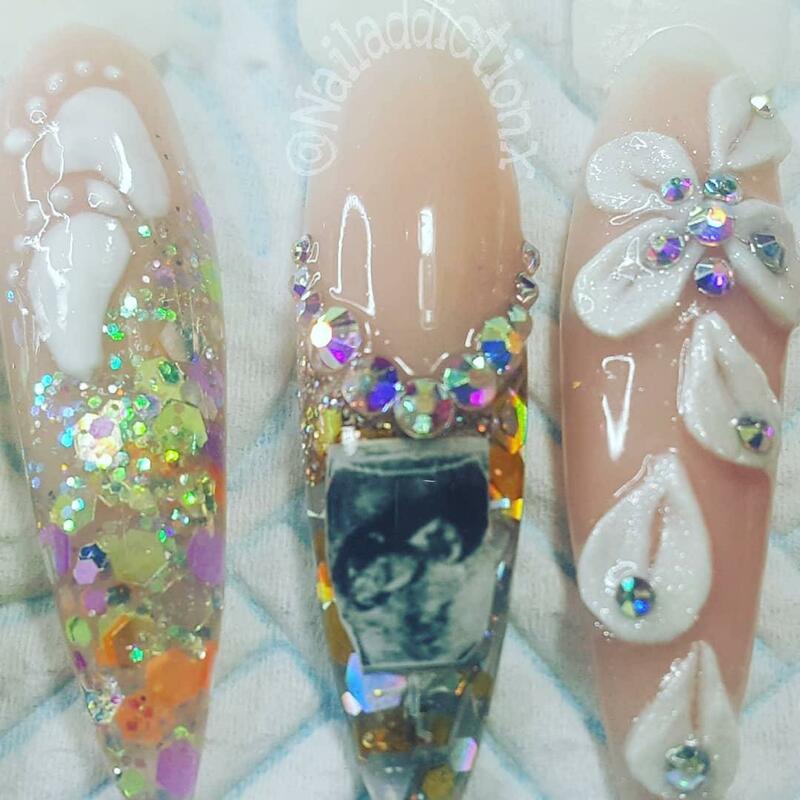 In addition to using this nail art to celebrate the life growing inside them, one woman used the technique to celebrate the memory of a child she never got to meet. 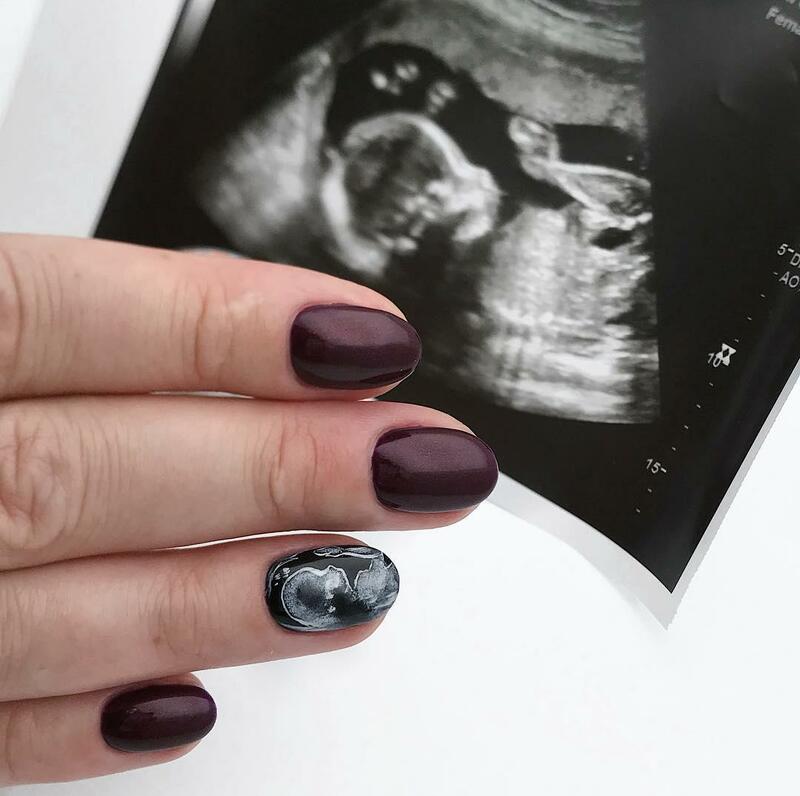 Instagram user @nailsbysara wrote about her miscarriage in a post of her nails, which included a sonogram of the baby she lost. "This manicure has been a long time coming," she wrote. "After three years and numerous fertility treatments, my hubby and I finally conceived in April. On May 30, my heart was broken when I found out my baby was no longer living and growing, and he was taken from me the next day. 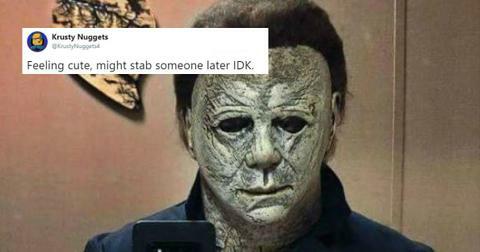 I lost all inspiration as I struggled with the grief. I learned how to love him and his brief life and move forward with renewed hope. I love you jelly bean, and seeing you on my nails makes me smile." 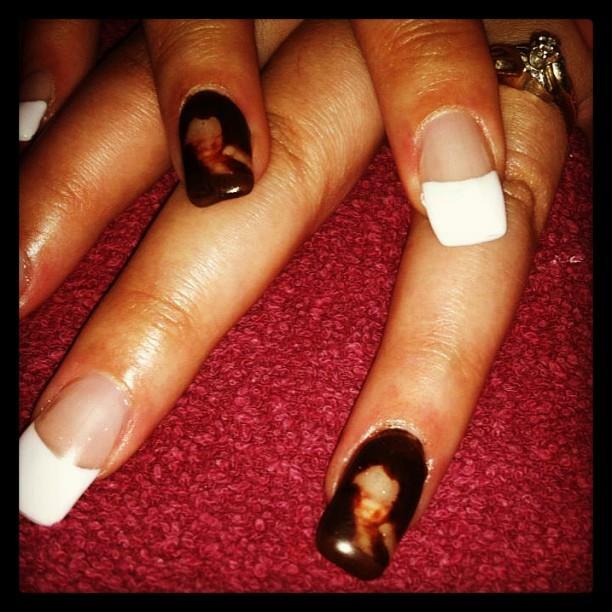 Sara, who did this manicure herself, added the hashtag #onceamothermalwaysamother to the post. 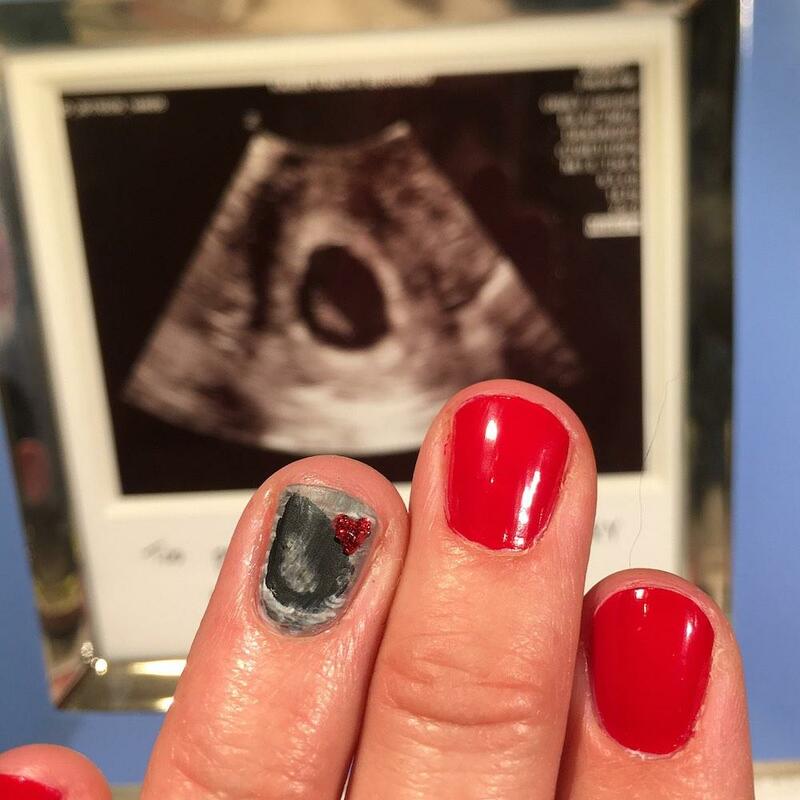 One user had a brilliant idea that could really take this trend to the next level: take a sonogram pic from every month of your pregnancy, plus a pic of your newborn and treat yourself to a little push present manicure tracking your baby's journey from womb to cradle.